A talented singer-songwriter from Draperstown is one step away from a dream recording session at Abbey Road studios. Gemma Bradley, 18, will travel to Indigo at the O2 in London during BRITs week for her chance to win an incredible prize package which could also see her song included in the BRIT awards album and VIP tickets to the awards ceremony. She coud also win the chance to perform at a live final at The O2 in London during BRITs Week. “The Big Music Project Competition journey began for Gemma back in May when she uploaded her own music video for online voting, then in November she performed in front of a panel of music moguls at the regional final in Belfast to find her place in the grand finale. Belfast was just one stop in a tour across the UK where the panel of industry experts listened to over 150 young musicians before selecting the final 13. Gemma first developed an interest in music at nine years old when she started learning the guitar. She soon combined that with her passion for singing and along with support from local organisations she has become the talented artist she is today. 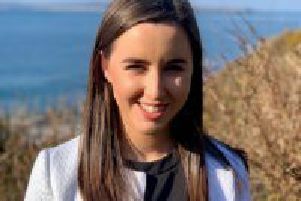 “I have had great backing from Glasgowbury at the Cornstore Creative Hub in my hometown of Draperstown as well as other brilliant opportunities with the Nerve Centre and Youth Action”, explained Gemma. She will also have the chance to get up close and personal with the music business and benefit from advice and mentoring from industry executives – providing her with what she needs to take a step towards a career as a professional musician. The Big Music Project searched all across the UK for aspiring young musicians aged between 14 and 24 to enter the Competition powered by Next BRIT Thing, part of the Big Lottery-funded The Big Music Project, and have now found their finalists. The Big Music Project Competition is supported by The BRIT Awards and Next BRIT Thing and is just one part of an ambitious project by the leading music organisation BPI, Global’s Capital and Classic FM brands, and the youth work charity UK Youth.